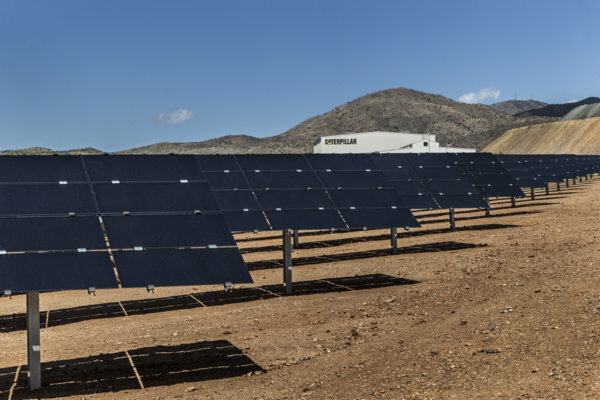 Did you see our story on the new Caterpillar Microgrid? A link is below. Microgrid deployments continue to increase globally, and as of 2Q 2016, Navigant Research has identified 1,568 projects representing more than 15 GW of capacity in the 10th edition of its Microgrid Deployment Tracker. Since the last update, 148 projects were added to the database, accounting for nearly 2 GW of capacity, over half of which was located in North America. The three most noteworthy additions to the 2Q 2016 Tracker include a 200 MW proposed solar PV microgrid addition in Senegal, a 202 MW deployment in Sampolo on the island of Corsica, and a 211 MW portfolio added across the United States by Blue Pillar. In terms of vendors, according to the report, Siemens moved past ABB to lead in terms of total microgrid capacity, while Schneider Electric retained the lead in terms of total number of microgrid projects. The report, Microgrid Deployment Tracker 2Q16, tracks data on known grid-tied and remote microgrid projects in the proposal, planning, and deployed stages in six geographies. The report covers seven microgrid segments: commercial and industrial, community, utility distribution, institutional/campus, military, remote, and direct current (DC) systems. Specific information is provided on the capacity and project numbers by distributed generation type, energy storage type, top 10 countries, top 10 U.S. states, and top 10 microgrid companies. The Tracker also details the rated capacity, duration, and types of energy storage for each project and breaks out data by world region and microgrid segment. Navigant Research provides market research and benchmarking services for rapidly changing and often highly regulated industries. In the energy sector, Navigant Research focuses on in-depth analysis and reporting about global clean technology markets.